ASG Innovative Software Ltd hires intelligent iPhone developers and engineers specialized in technology. 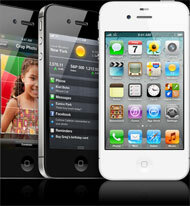 Our engineers at the iPhone development offices have vast experience in the development of iPhone software. ASG´s dedicated and experienced workforce is capable of offering the services you require and delivering them to the market with efficiency. Our company works with the client from the very start, from application design to completing the detailed iPhone apps using the most modern interface design and functioning. The process of development is focused on the client as soon as we are contacted with the thought of an app or game until releasing publicly to the App Store. ASG Innovative Software offers solutions available at the App Store. We are a leading company in areas such as cross-platform, mobile website optimization. Our company is technologically experienced in HTML5, CSS3, jQuery and Sencha Touch. Our developers offer incredible mobile web interfaces based on your requirements.